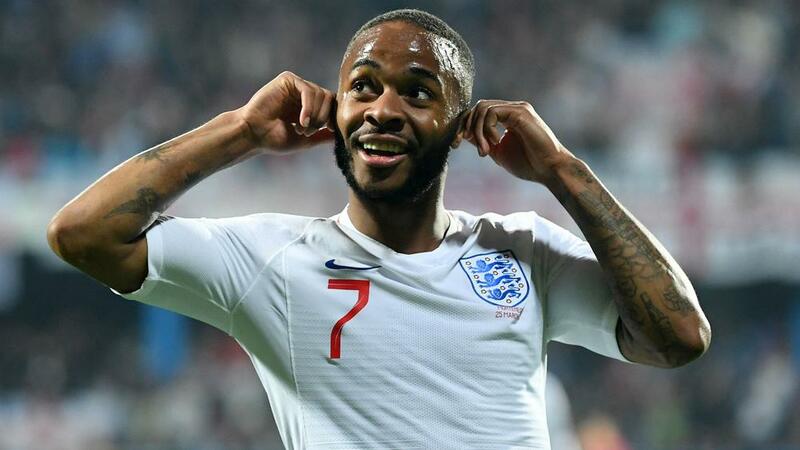 England players have accused Montenegro fans of racist abuse during Monday's match, and Raheem Sterling demanded UEFA takes action. Raheem Sterling urged UEFA to take "a proper stance" against racism by issuing Montenegro with a stadium ban after he and England team-mate Danny Rose were allegedly targeted by monkey chants in Podgorica on Monday. Manager Gareth Southgate claimed Rose was targeted after picking up a yellow card in second-half stoppage time, while Callum Hudson-Odoi said he heard "monkey stuff". UEFA has often been accused of not punishing incidents of racist abuse harshly enough, and Sterling was mindful of that when demanding European football's governing body comes down hard on Montenegro. When asked by Sky Sports if a stadium ban should be issued, Sterling said: "Yeah, it's got to be something that serious for them and make them think twice about ever doing something like that again. "I can only, we can only, the FA can only do so much. We've got to leave this to the people in charge to make a proper stance on it. "Just banning one or two people is not going to change anything, you've got to make [an example] – even if it was our fans, I'd be saying the same thing. "The people in charge need to actually do it [punish] as a whole, the whole [of the] Montenegro fans. I don't know, I'm not the one who makes the rules, but they've got to do something that makes a real stance. "It's 2019 now, I keep saying it. It's a shame to see this still going on. We can only bring awareness to the situation. "It's now time for the people in charge to put a real stamp on it. You can fine someone, but what's that going to do? "You've got to make it harder, you've got to punish the whole [group of] fans, [so] that [they] can't come to the ground. "You've got to do something to really make them think twice, because if their team can't play with fans, it means it's going to be difficult for them, so it's got to be something to make them think twice about." "It's now time for the people that are in charge to put a real stamp on it because you can fine someone but what's that going to do?"